If you’re just getting into mountain biking, there’s no need to splurge on a crazy expensive bike. A beginner mountain bike is the perfect way to test the waters. You can always upgrade down the road. The key to finding an awesome mountain bike under $500 is to steer clear of the low quality bikes that are often sold at this price point and find a bike that will hold up in the long run. We rounded up seven of the best budget mountain bikes, built to last for miles to come. Components: These components will easily be able to keep up with mellow trails and work great for those just entering the world of mountain biking. However, as soon as these components are taken down aggressive trails, they will begin to wear out. That being said, there is nothing wrong with lower end components when you’re just getting started. If you reach a point where you’re making frequent repairs, chances are your skills are now beyond the capabilities of these components and an upgrade is a good idea. Brakes: One of the most important things to check on a budget bike are the brakes. Look for disc over rim brakes. Disc brakes offer way more stopping power than rim brakes. All our bike recommendations are equipped with mechanical disc brakes. Weight: All bikes under $500 will be heavy. This is due to a combination of cheaper parts and heavy frames. Weight is generally one of the biggest factors in a bike’s price. Aluminum frames are heavier than carbon fiber. At under $500, aluminum is the best frame material you’ll find. Try to avoid the heavier, cheaper steel frames, which are also prone to rust. Lighter bikes are found in the $2,000 price range, where you will start to find low end carbon fiber and full suspension mountain bikes under 30lbs. If you’re looking for a bike for casual rides or an intro mountain bike for riding smooth trails, this is your bike. The 29” wheels will roll fast and over anything with ease. Most beginner mountain bikes have 80mm of travel; The Overdrive has 100mm. The components are on the lower end, meaning they aren’t capable of handling aggressive riding. But for just getting started mountain biking, they are more than capable of keeping up. One the reasons this is an editors pick is because it contains better components than most bikes at this price, which feature the low-end Shimano Altus. Quality full suspension bikes are hard to find below $1,500, however the Diamondback Recoil 29er Full Suspension is the perfect introduction to the comfort of full suspension. Four inches of rear suspension will do wonders to take the edge off roots and rocks on the trail. The disc brakes are reliable and powerful, which will help you shred downhill. The 29” wheels will prove to roll faster and easier over most any obstacles compared to smaller wheel sizes. If you’ve ever thought about trying out the single speed life, this is the bike for you. You will be shocked at how quick single speeds are. The mechanical disc brakes provide all the stopping power you need and 29” wheels are fast and efficient, making this bike great for calm, smooth, somewhat flat trails. After switching to a single speed, you’ll never want to go back to the hassle of shifting. This women’s specific mountain bike is perfect for the new rider. The geometry has been adjusted to fit the average female with a super low top tube for increased stand over clearance. The 27.5” wheels are perfect as most women are small enough that 29” prove to be a little harder to throw around corners and maneuver in tight places. A quality mountain bike at $200 is about as much of a steal as you will ever find. The disc brakes will stop on a dime. Shimano components are perfect for entry level riders and the 29” wheels make rolling over little obstacles a breeze. The most common complaint is the weight, however, given the aluminum frame that should be expected. But if you’re just getting into mountain biking, weight shouldn’t be a major concern. The Nashbar AT29 has combined the best low budget components and quality design to produce a solid introductory mountain bike. The 100mm travel will be enough to absorb the small bumps in the trail and increase the comfort and ease of riding. If you have have never tried anything except a 26”, the 29” will be a major improvement, as they roll faster and much easier over obstacles. The Kenda tires are a good tire for cross country trials. The Giant ATX could be your reliable weekend trail bike. The 100mm front suspension will take the edge off of the rocks and bumps and increase comfort, while saving energy. If you find yourself feeling awkward and clumsy with 29” wheels or are still in the world of 26” wheels, then the 27.5” wheels are the ideal wheel size for balancing speed and stability. 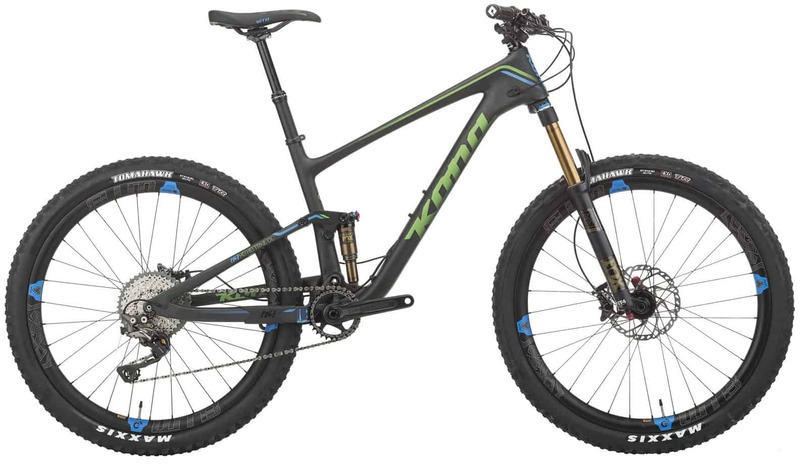 If you are looking to start mountain biking, this is a perfect bike.